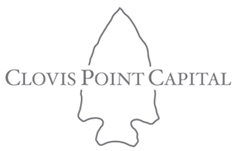 Founded in 2014, Clovis Point Capital is a Houston-based based private equity fund seeking buyout and growth equity investments in U.S.-based, lower middle-market companies. The fund will consider investments across all industries, but focuses on low fixed cost, recurring revenue business models earning $500,000 to $3 million in EBITDA. Clovis Point focuses on building relationships. Clovis Point professionals invest time and energy into establishing trust and setting common goals with management teams. Driven by results, the fund looks to be creative when structuring investments so as to ensure there is an alignment of interest for all parties involved. Any questions? Contact us today and we will respond promptly.